"The Qoya Intensive Teacher Training was one of the most profound experiences I’ve been blessed to have. While the weeklong Intensive was transformative, I have really begun to feel the transformation during the integration process. The energetic shifts I received in Costa Rica began as a download straight into my heart and lovingly absorbed into every molecule of my being. My perspective of presence and participation in the world around me truly is an unfolding as the embodiment of my Divine essence. I am eternally grateful for the gifts Qoya has offered me." "Qoya Intensive was more than I could ever have imagined. Each day felt like a lifetime in the best possible way. Each individual day was worth the investment, let alone the whole week. Each exercise, ritual, discussion, lecture, and class were woven together perfectly. I went in knowing what Qoya is and I was able to teach a class. I came out feeling the spirit of Qoya in my bones- like it was alchemically transferred into my being. The way the group comes together in this environment is nothing short of magical. I know that the intentions, dreams, and desires I brought to the Intensive are being nurtured in the hearts of all the women who held space for me to plant them." Your facilitators for this journey are Sara Ballard and Claire Garin. Both teachers completed their Qoya Intensives with Qoya founder Rochelle Schieck and have apprenticed and co-led Intensives alongside Rochelle. As a former bodyworker, Sara has always had a passion for helping women feel connected to and fall in love with the physical and metaphysical magic in their bodies. Her life’s work has been built on various ways of helping people reconnect, access, and remember the truth in their body. She thrives on authenticity, deep connection, and reverence to her and others’ divine nature.In any given week, you can find Sara teaching weekly Qoya classes, offering Qoya teacher Initiation training, and hosting retreats in Greenville, SC. She loves creating Sacred Soul Malas, bespoke semi-precious gemstone prayer beads individually created for each person. In her spare time, she homeschools her three beautiful children, and laughs and plays with her patient, Qoya-loving husband, Russell. In 2008, Claire discovered Reiki and fell in love with alternative medicines. She became a Reiki Master while simultaneously obtaining her diploma as a Sophrologist-Sophrotherapist in 2013. She found Qoya in the summer of 2016 and traveled to the U.S. to take more classes. She took the Initiation Training during the Costa Rica Collective Retreat in March 2017, and the Intensive in May 2017 in Seattle. She's led hundreds of Qoya classes and several teacher trainings, and co-led the 2018 Qoya France Retreat with Rochelle Schick. She finds her freedom by offering different containers (individuals sessions, classes and training, daily workshops, retreats) with all these different tools, mostly in Paris, but also all over the world! Vast sandy beaches, emerald waters, castles, ancient civilizations, and culture abound on this beautiful Greek island. Popular to visitors since the Roman ages, Rhodes is one of the most desired destination spots in Europe! 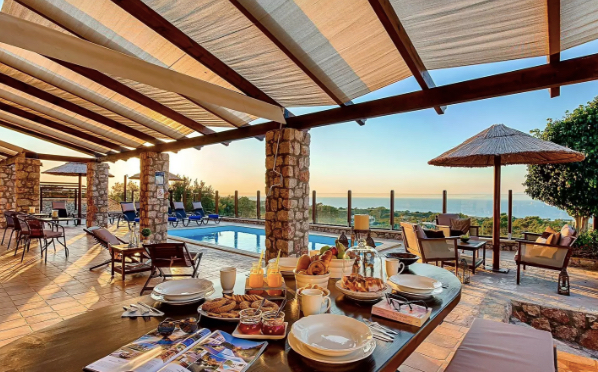 We will be staying in a private villa overlooking the sea, in an area known as Butterfly Valley. 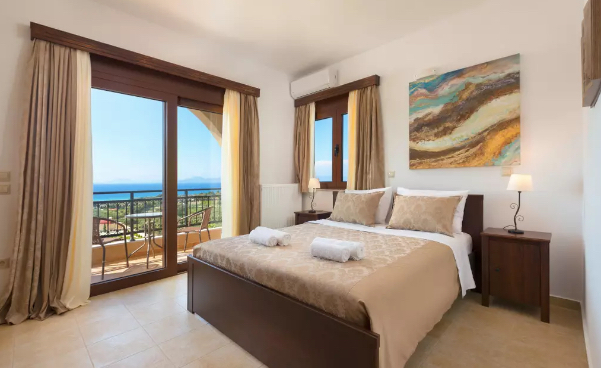 It is the perfect location to dive deeply into the essence of Qoya, and be nurtured by the birthplace of civilization simultaneously with a 360 panoramic view of the Aegean Sea and the Valley of Butterflies. The brand new pool with sunbeds and parasols, the amazing covered sitting area, cosy fireplace, and beautiful gardens and trees which offer a secluded and peaceful environment. All beds and rooms will be shared. This Intensive is at a private villa, not a retreat center. Individual rooms are not likely to be offered. No offsite lodging. You must have completed the Introduction to Qoya online training ($250) and your Initiation Training ($600) in order to attend the Intensive. If you’d like some guidance on how to complete these requirements before an upcoming Intensive, please contact us at info@qoya.love. To become a Certified Qoya Teacher offering Qoya classes to the general public, you must complete the Intensive training, which includes teaching a class to a Qoya Teacher Trainer, and sign our Teacher Training Agreement. At the Intensive, you will have the opportunity to teach your class and sign the agreement, completing your Qoya Teacher journey. You can also opt to teach your certification class after the Intensive, if you desire more time to work on your teaching. To maintain your certification, you must participate in our Continuing Education program, which includes monthly phone calls with Rochelle and other resources to support your teaching practice. This Intensive will be language fluid... meaning, women who attend MUST be able to understand English, and be able to teach all basic cues in English, but can also speak their mother tongue for intuitive cues. As long as they can share a full class with us, as is required in the structure, language is flexible. Questions can be asked in English or French, or Greek. This training is for women only, ages 18 and up. We may take an excursion into one of the towns on one day; all food, souvenirs etc will need to be paid for individually on any outside excursions. Payment plans are available through April 1st, 2019, and enrollment closes on April 13th, 2019. Arrival is anytime before 5pm on May 7th; departure must be before 12pm on May 14th.